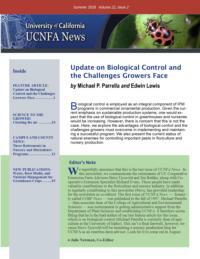 This newsletter issue gives an update on Biological Control and the Challenges Growers face. We regretfully announce that this is the last issue of UCNFA News. In this newsletter, we commemorate the retirements of UC Cooperative Extension Farm Advisors Steve Tjosvold and Jim Bethke, along with Cooperative Extension Specialist Richard Evans. These people have made valuable contributions to the floriculture and nursery industry, in addition to regularly contributing to this newsletter (Steve, has provided leadership for the newsletter as co-editor).  The first issue of UCNFA News — formerly called CORF News — was published in the fall of 1997. Michael Parrella — then associate dean of the College of Agricultural and Environmental Sciences — was instrumental in getting administrative support from the Department of Plant Sciences and establishing UCNFA. It therefore seems fitting that he is the lead author of our last feature article for this issue, which is on biological control (Michael Parrella is currently dean of agriculture at the University of Idaho). This isn’t a final farewell, however, because Steve Tjosvold will be launching a nursery production blog for UCNFA as an emeritus farm advisor. Look for it to come out in August.